Comic Writing – Plot Lines – How to? Following on from narratives in comics comes an important topic, the plot. This is what moves the characters in the story along and is the basis of most literary work. 1. Also called storyline. the plan, scheme, or main story of a literary or dramatic work, such as a play, novel, or short story. I can’t really help you out here. There’s various schools of thought; writing from imagination to writing what you know. This one really comes down to you but most importantly if you have a story (or idea), write it down! It might seem like a silly idea now, but well crafted it could be fantastic! Pride of Baghdad was developed by the author from an article he read about lions escaping an Iraqi zoo during the American offensive. Ideas can come from anywhere! Before crafting any plot you have to know how it ends. The infamous Spiderman Clone Saga was a case of very bad plotting. The initial hook was great with twists and turns but without an ending the story kept dragging on and ended up a very bloated mess. By developing the ending first, it’s easier to fit the pieces to create a plot that’s well paced with a definitive conclusion. So without a doubt the ending is the first thing you do. There’s no point in writing a murder thriller without you as the author knowing “Who did it?” and it’s not something that develops as you write, you have to plan for it before you start your first chapter! Comics are episodic in nature so it’s a different structure to novel. Have a primary plot (e.g. the bad guy that robs the bank today) and a secondary subplot that gets slowly developed across various issues (e.g. the guy in the shadows who seems to be mysteriously planning something major). While the primary plot provides the instant gratification, the secondary plot is the hook that establishes some continuity and brings the reader back in. I find it more closely related to television series. 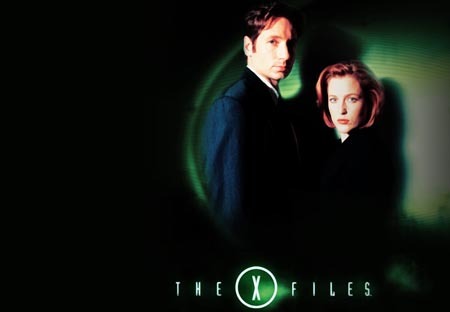 Using the TV Series X-Files as an example, each episode could be classed as a “Monster of the week” or “Conspiracy“. What does that mean? Well . . if you are not familiar with the series, the two main characters (Mulder and Scully) are FBI agents investigating supernatural phenomenon. There were a couple of episodes where Mulder and Scully checked out something weird (e.g. vampires / flesh eating monsters) commonly termed the “Monster of the week” however a few minutes of each show hints at some government conspiracy with the occasional episode dedicated to developing this subplot. Where did X-Files go wrong? They dragged the subplot out way too long without any conclusions. As per the point “Where do you start?”, it didn’t seem like there was a clear end in sight. You can always introduce a new subplot but not ending a subplot properly can leave readers feeling very cheated especially if they have invested the time to see what happens. Posted: March 17th, 2009 under comic, Writer. Another good example of writing without a planned ending: Lost. A well shot series sure but how many plotholes are only being filled in now, in season 5 (of 6)? ah . . i miss the x-files. Lost is great example! Although now they have a definitive last episode date set, the writers can write to an ending. Although without Mulder and a good continuing storyline, it wasn’t the same. Supernatural is my new favourite TV Series. Comics / TV is a great comparison. I think that’s one of the problems with the comics-to-movies trend as of late. Or, equally bad, all the screenwriters that are trying to write comics. I’d hold up Global Frequency and Transmetropolitan as two fantastic examples of plotting. Warren Ellis has a gimmick (the ‘global frequency organization’ and/or ‘journalism’) that allows him to tell discreet, issue-separated stories. But then he’s also able to subtly introduce a metanarrative throughout, keeping the entire series together by the hint of the bigger picture. I get really upset with the comic book trend of metaplot over plot – there are too many continuity-spanning, massive-infinite-crisis-a-verse-ultimate-king-war-darkness-cheese-secret-agenda events. No one is telling discrete stories any more, just submitting tiny atoms of some sprawling universal narrative that is impossible to follow. When I was a boy, comics had stories. Contained stories. And I walked to work through the snow. And a nickel bought you a steak dinner. And GET OFF MY LAWN! Great write up! And Yes! I couldn’t agree more that ‘Ideas do come from anywhere’… which is why I always carry a notebook everywhere I go, jotting down thoughts and ideas, and quick sketches of designs and inspirations. I love Transmetropolitan! Fantastic writing in that series. It’s a fine line for the writer, he has to provide stories for people who might only pick up the occasional story as well as provide something for the regulars who pick up every issue. The problem with building stories up to “epic” levels is with various writers, editorial mandates . . it could easily degenerate to a huge mess. Also I feel there are sometimes the story has to end. Y – The Last Man and Jeff Smith’s Bone are great examples of stories that concluded well. You wouldn’t restart these stories or at least I hope they don’t! Supernatural is awesome! I like how every season concludes the over-arching plot but still open up another one for the next series. Love the “Monster of Week” as well as the character writing (that’s my next topic)! Hahaha! I was wondering when if ever X-files was going to show up on your blog. These articles on writing and plot were fantastic. I hope there will be more to come cover similar topics. Speaking of X files which I’ve been watching lately, did anyone notice that most of the alien abductees were red heads, is this a conspiracy…..? There’s more comic writing articles on the way. At the moment I have a few more artists which I’ve promised to schedule first, although I might slip another writing related one in. Hehe . . I guess the producers really had a thing for redheads. Wasn’t Gillian Anderson (Dana Scully) a redhead too?